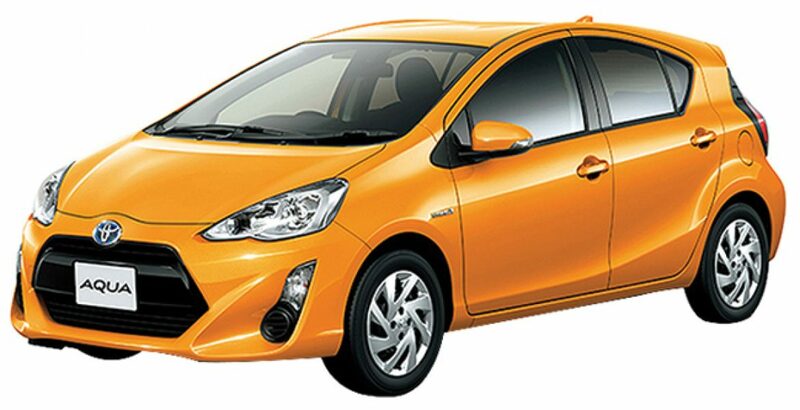 Before moving on to the Toyota Aqua 2018 review, you should know that “Aqua” is an alternative name of the “Prius C” for the local Japanese market. 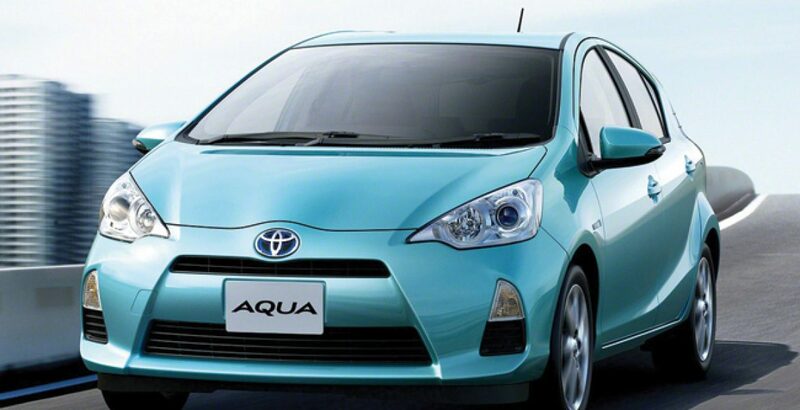 Secondly, the Aqua is imported as a used Japanese car in Pakistan. A staple of the Toyota’s lineup, the Aqua is one of the most economical subcompact hatchbacks in the full hybrid segment. At the same time, the fuel efficiency of the car is also remarkable. The United States Environmental Protection Agency ranked it as the most fuel-efficient car of 2012 while excluding the plug-in electric vehicles. Before you finally decide to buy Toyota Aqua, you should also learn about its cons. For example, it is a bit smaller in size. 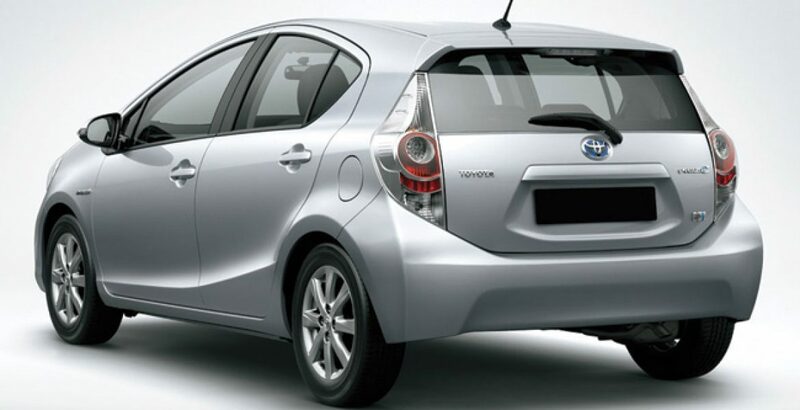 Secondly, it lacks the latest hybrid powertrain technology as found in the newest version of the latest Prius. Thirdly, the Aqua is a pretty basic car as it does not offer much in the way of sound insulation and the interior is full of hard plastics. Similarly, the ride quality often goes harsh. Finally, with just 99 hp (horsepower) on tap, the Aqua happens to be one of the slower cars on the road when compared against its rival brands in the international market. However, its small size can also be taken as an advantageous feature. It makes it a manoeuvrable little four-wheeler that is a breeze to park. The individuals who prize efficiency will find Aqua an ideal city runabout. Meanwhile, the buyers can also factor in the Toyota Motor Corporation’s reputation for great reliability and low running costs as the plus points. Overall, the critics of the full hybrid Aqua think its advantages overweight the compromises. 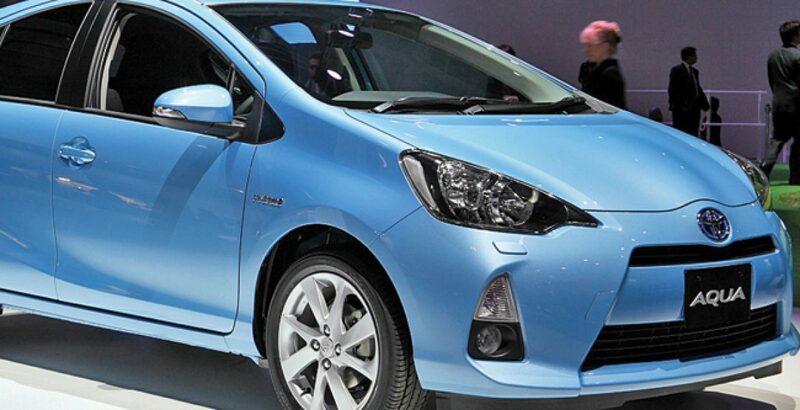 Capitalizing on the amazing success of the original Prius, the Prius C (Aqua) is a bit smaller and more city-friendly variant. It smaller dimensions allow for a lighter curb weight, the downsized hybrid powertrain. Here the driving dynamics have been significantly improved. 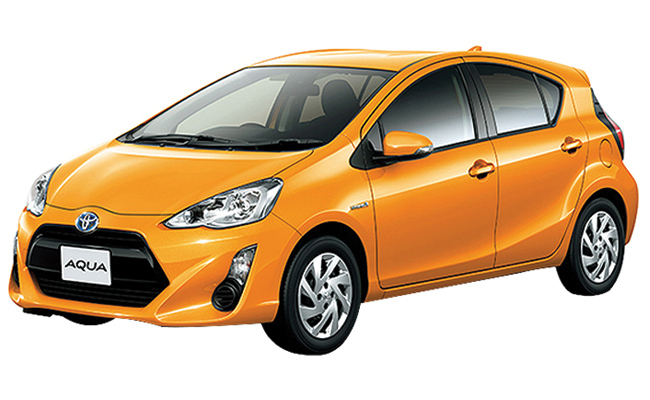 As further enticement for the potential buyers, the Aqua (Prius C) variant has been priced much lower than the standard Prius liftback. First launched in 2012, the Aqua variant of the conventional Prius demonstrates the latest iteration of the formula of Tercel. Though the tech-enriched Aqua might not be as cheap as a Tercel, it still offers you one of the most affordable ways to get into a full hybrid car. 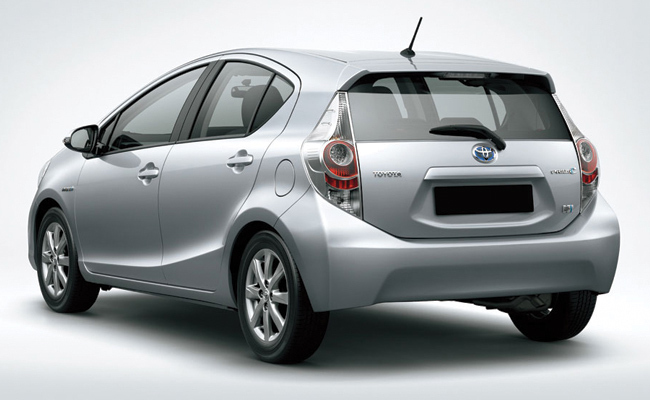 The year 2012 witnessed the launch of the Toyota Prius C in the international market. 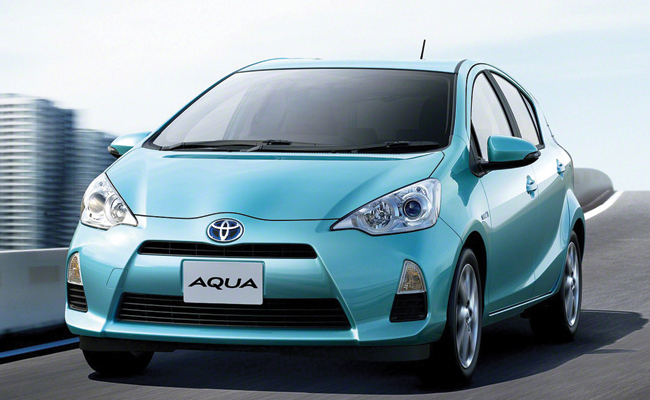 For the local Japanese market, the Prius C was named as Aqua. The same Aqua has been imported to Pakistan as a used Japanese car. Among pros, the 2012 model offered stellar fuel efficiency, sportier design, roomy interior and favourable pricing. On the other hand, stiff ride (over some roads), poor quality of interior materials, slow acceleration and noticeable wind noise were its negative points. The Aqua returned unchanged for the year 2013. It gave the same fuel efficiency, pricing, interior furnishing and design as its predecessor. 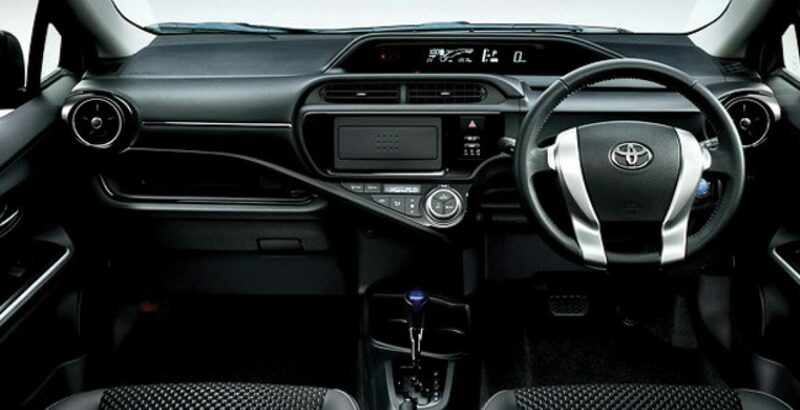 However, the upper trim interior materials made their way into the lower trim level. 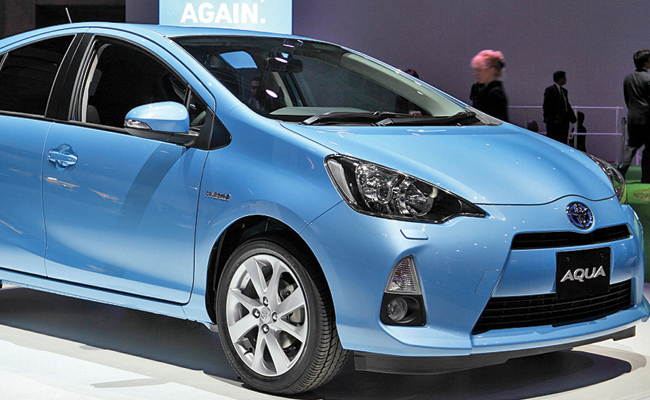 Just like the 2013 model, the Toyota Aqua 2014 also remained almost unchanged. It had a roomy interior, stellar fuel economy, and a nimble and easy-to-park size. However, it involved a cumbersome process for setting up Entune connectivity. For the year 2015, the Aqua got refreshed rear and front styling with new head and tail lights, and manufacturer’s now-signature big-mouth grille to embolden the riders. This time, the customers also got new choices for the body colour. The interior trim was slightly upgraded. At the same time, a rearview camera and a sunroof were also installed as new features. After the restyling of the front and rear in the 2015 model, the Aqua 2016 got some more tweaks to became largely a carryover. However, it lacked the Safety Sense (C) package for driver assistance technologies from the house of Toyota. The 2016 model was more affordable than most other full hybrid cars in the international market. Similarly, it boasted a surprisingly roomy interior against the small exterior dimensions. However, there remained the issue of the rides getting stiffy and uncomfortable over rough roads. The technologically improved 2017 model is capable of covering over fifty miles with the consumption of a single gallon of fuel. At the same time, it has also been furnished with a complete package of high-tech safety equipment. The urban-friendly exterior dimensions make it nimble and easy to park in tight spaces. On the negative side, the acceleration is slow, even for a hybrid. Secondly, the materials used in the interior look and feel a bit cheap and uncomfortable. The latest 2018 Toyota Aqua model returns excellent fuel efficiency along with active safety technologies and a cool touchscreen infotainment system. The compact form factor of the hybrid Aqua makes it easy to manoeuvre and park in small available space. But, unfortunately, the negative points like slow acceleration, stiff ride and noticeable wind noise could not be addressed even in the latest model. Overall, improved, tweaked and re-tweaked throughout its evolutionary history, the latest model offers the best hybrid car package against economical Toyota Aqua 2018 price in Pakistan.